In September last yearÂ Teller Of TravelsÂ visited our beautiful city of Mostar. We found this article useful! 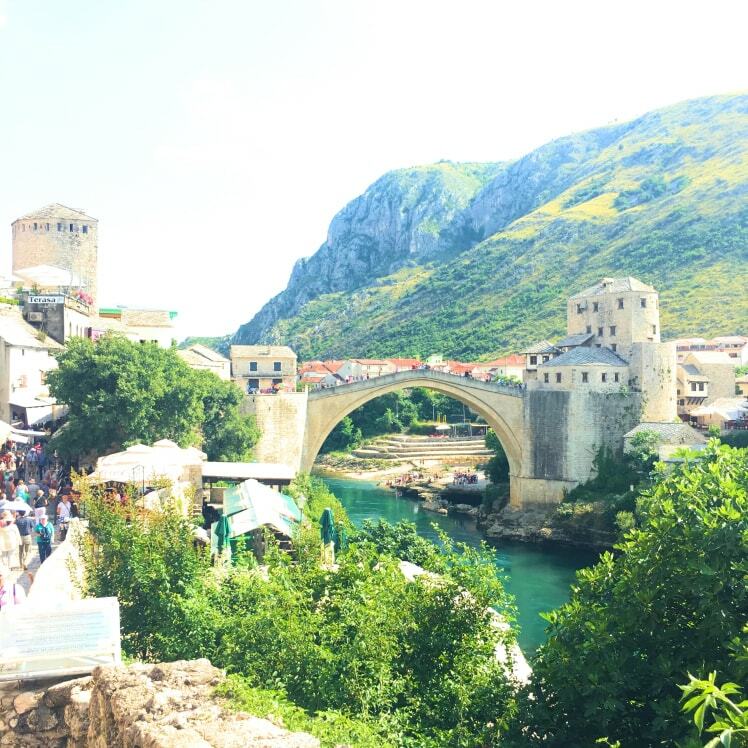 Read her thoughts and experience of Mostar. Mostar is a city in southern Bosnia and Herzegovina, a UNESCO World Heritage Site, with a big influence from the Ottomans.Â It happened to be that our stop in Mostar coincided with Ramadan. I had never been to a country where Ramadan occurred. Thankfully our host was more than happy to teachÂ us about his culture. As Mostar lives mostly out of tourism, they do not fast during daylight hours (at least you are allowed to eat at restaurants). 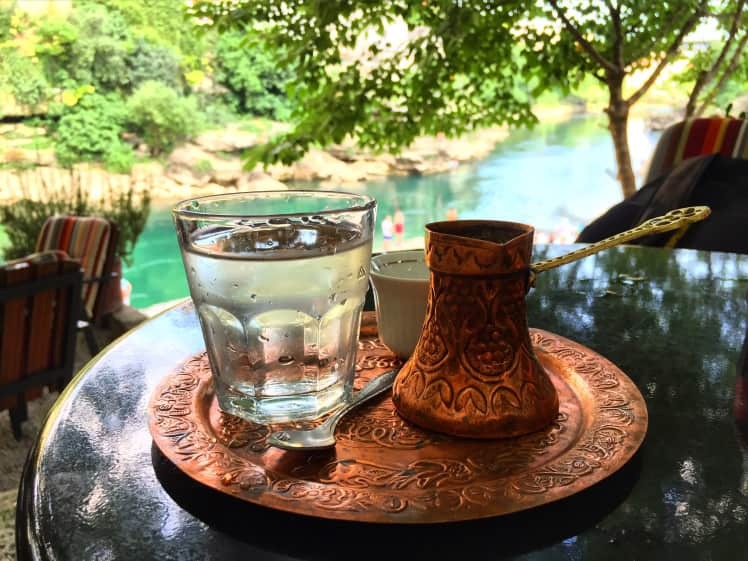 When you arrive atÂ the Old Town, youâ€™ll immediately notice the narrow streets filled with souvenirs shops that sell engraved Bosnian coffee sets, which they claim to be handmade. And, if you are like me, you will have to talkÂ yourself into not buying something every 10 steps. In any case most shops also accept payment in Euro currency, the same goes for restaurants. On top of the bridge, you will most likely notice the men diving into the river. 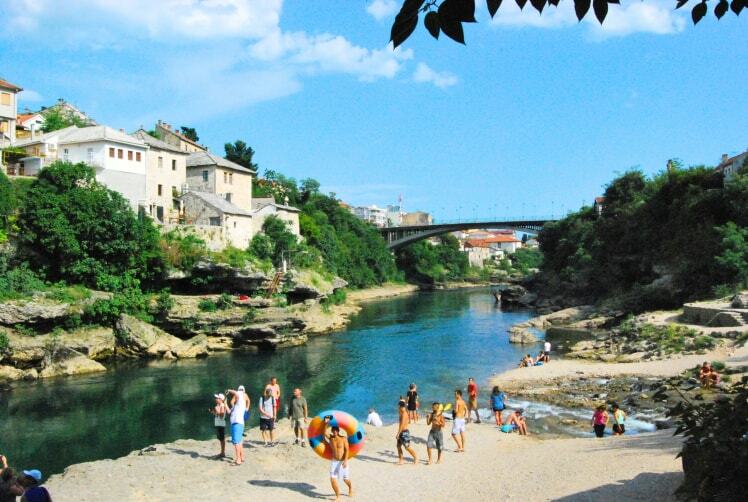 It has become a big attraction, they even haveÂ a Mostar Diving Club! But not before they go around collecting money for you to see this show. Itâ€™s a 24 meter jump!! Below the bridge there is a nice area, where you can have a better look at the divingÂ or just admire the view of the bridge with the city on the background. It was summer time, so there were also some kids going down the river with floaters, using the riverâ€™s tide to their advantage.